Fierce Blogs was given some Hayden Fragrances samples last week and it was only yesterday that I had the chance to check them. One by one I smelled the samples and instantly fell in love with "Pink Pepper & Cashmere". I quickly sprayed the fragrance at my wrist and dab it behind my ears. This was around 9:30am. After which, I went online to check my mail and went back to sleep immediately after lunch. I deserve to be lazy! It's weekend! At exactly 3:00 PM I got a call from a blog client that requires me to go online (again). More work on a Saturday afternoon. My blog work zapped my Saturday afternoon and almost forgotten my "mini experiment". Quickly, I smelled my wrist and was surprised that I can still smell "Pink Pepper & Cashmere". 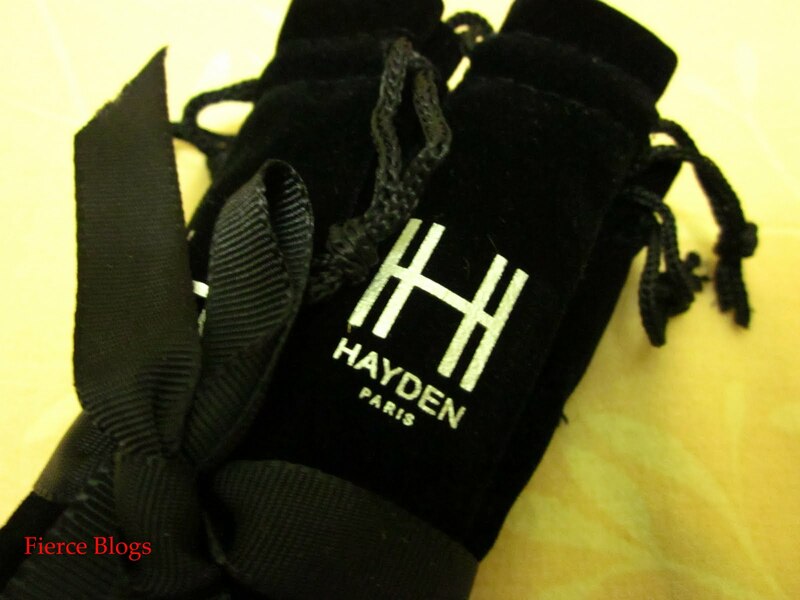 Hopefully, my schedule this week will not be crazy so I can check more scent of Hayden Paris. I think it's perfect for daily use! 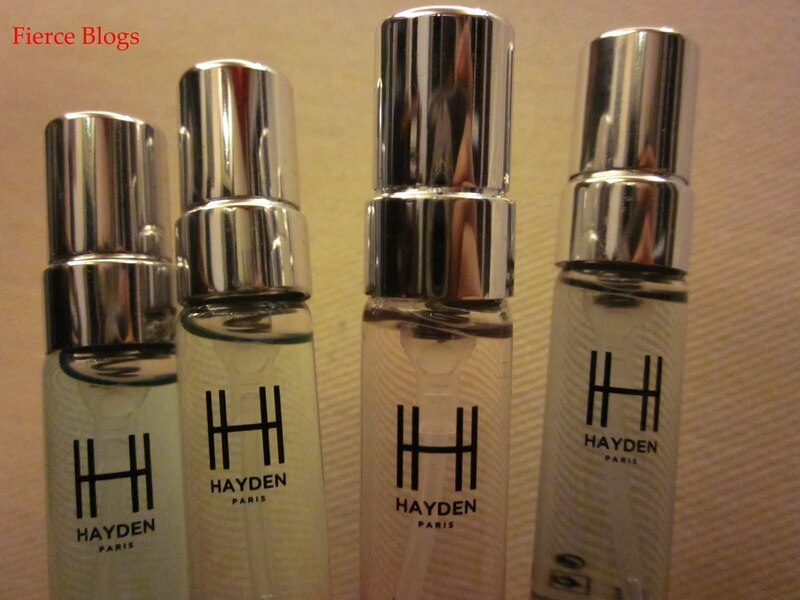 You can check more of Hayden Fragrance here. Hayden Paris is also on Facebook. Just click here. Dr. Hayden Kho Jr Official Facebook Page. I had a chance to last week (quick one). I'll post the pics when I get hold of them. How much are they Eric? Leo M.